My Astrolight red flashlight application has been updated to keep the screen from locking. I had heard from users that sometimes they wanted to set the phone down while playing with cameras and eyepieces – but when they went back to the phone they’d have to unlock again. Which could be pretty bright depending on your wallpaper! 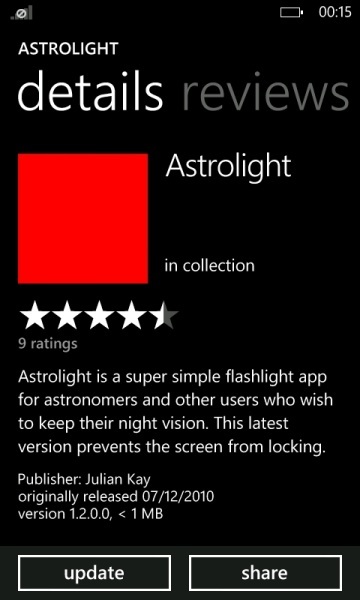 Get it from the Windows Phone Marketplace.